Our First Saturday Neighborhood Breakfast ministry began in 2004. 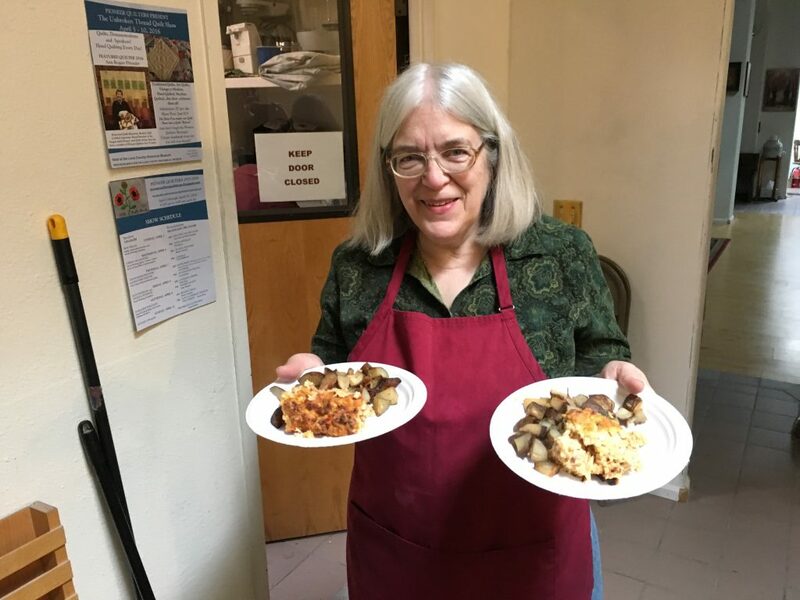 We share breakfast with our neighbors in a community environment and serve meals to the homeless of Eugene (especially those of the Whiteaker Neighborhood). 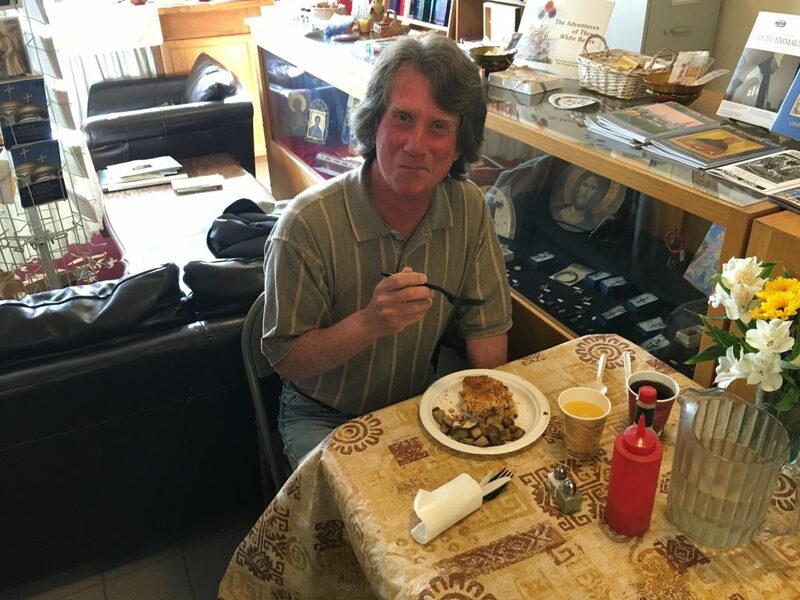 The Breakfast offers a safe place where souls isolated by society and beaten by the elements can experience warmth, hospitality, and good food and, in the winter months, pick up a pair of warm gloves, a hat, or scarf, and, sometimes, even experience a chiropractic adjustment. 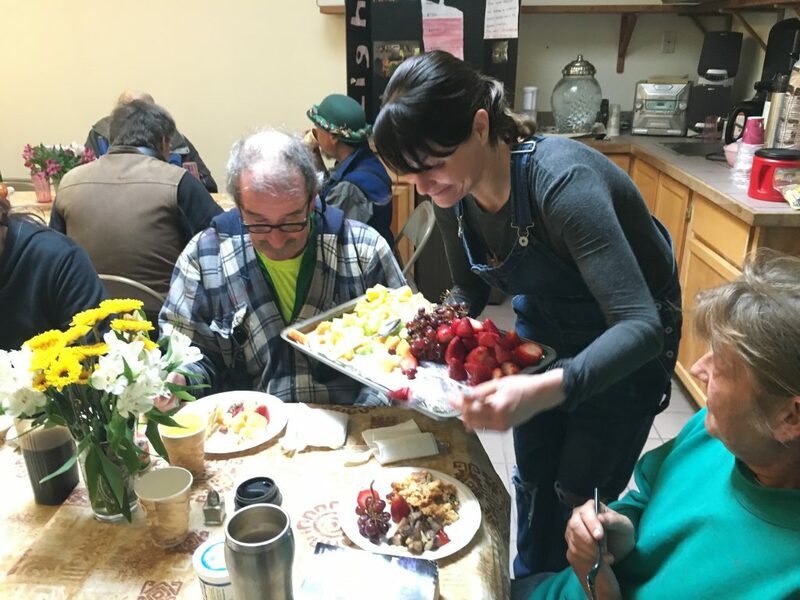 From the beginning of this ministry, we have striven to treat guests with dignity, providing a sit down dining experience where they are waited upon at a table decorated with flowers, fruit, and pastries, and where delicious food is served by volunteers. 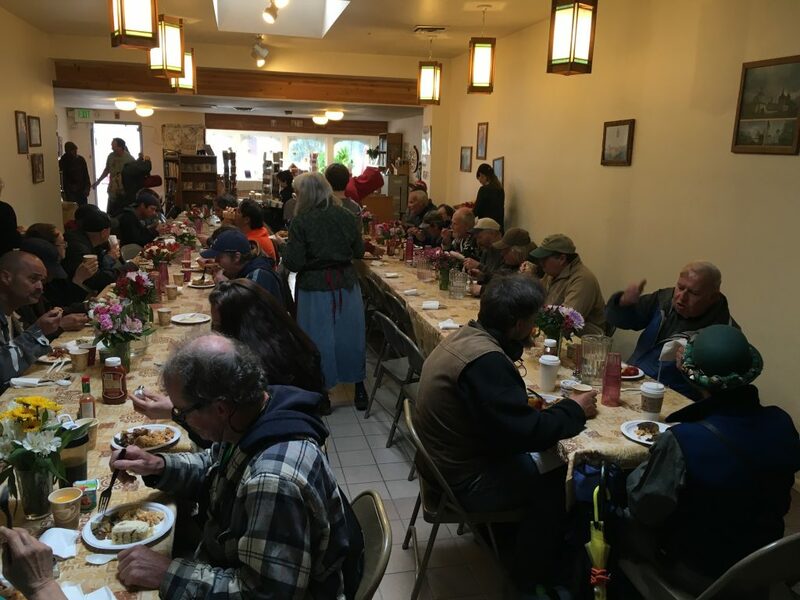 This ministry has grown; our average number of plates served in 2013 was 150, with the highest being 202 in March. To give an idea of the increase, the average number of plates served in 2005 was 74. The First Saturday Neighborhood Breakfast is the first Saturday 0f every month. Check the calendar for the schedule. Neighbors gather under the bell tower Saturday morning, 2013. “For I was an hungred, and ye gave me meat: I was thirsty, and ye gave me drink” (Matt. 25:35). Last First Saturday Breakfast at the Bell Tower!